In the nomination Popular Modern Music, the 1st prize was divided by Vladimir Koshelev (Russia) for the orchestral composition Rebirth and Kok Yunfang (Singapore) for the composition for the chamber ensemble “52407”. 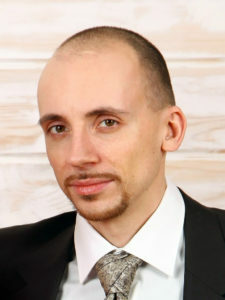 Vladimir Koshelev was born on February 24th, 1984 in Balei, the region of Chita. After completing his studies at the Music School in domra as a major he was enrolled in Krasnoyarsk Academy of Music and Theatre, class of Professor Vakhrusheva and also attended the composition class of I.Yudin. 2017 – diploma at the “Symphony of Siberia” competition. A multifaceted composer, Phang Kok Jun has a diverse repertoire that spans across many styles and genres. 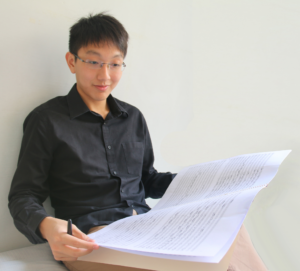 Kok Jun graduated with First Class Honours in Music Composition from the Yong Siew Toh Conservatory of Music (YSTCM), National University of Singapore and after which he obtained his Master’s degree in the Peabody Conservatory of Music, Johns Hopkins University, both under full scholarship from YSTCM. Principal composition teachers include Eric Watson, Ho Chee Kong, Oscar Bettison and Kevin Puts.